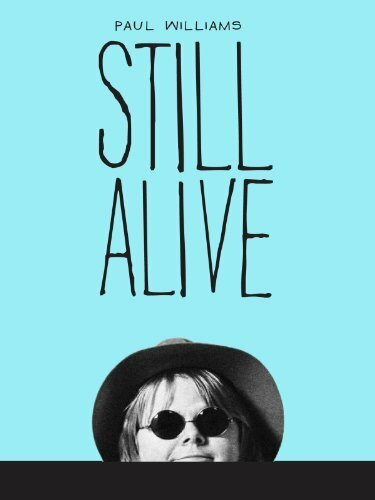 Alarm bells go off at the very start of Paul Williams Still Alive. 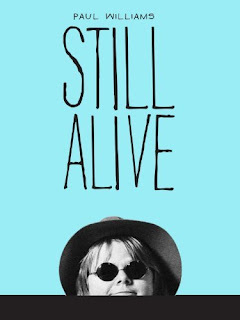 Director Stephen Kessler describes his childhood affection for the once-ubiquitous singer/songwriter/actor Paul Williams only to confess his amazement at discovering Williams is – SPOILER ALERT – not dead. You’re taking a mighty risk building your entire movie on a premise that at best is disingenuous and at worst makes you look like a putz. Consider it part of an entirely new genre: the cinema of the oblivious. Documentaries in which the filmmakers insist on inserting themselves into the proceedings in order to demonstrate their love of their subject only to reveal their ignorance of its essentials. My favorite example of the form is Ultrasuede: In Search of Halston, which is more about director Whitney Smith’s vintage wardrobe and affinity for period hairstyles than the fashion designer. Kessler tracks down his one-time idol, now twenty years sober and still possessed of a heroic work ethic, and goes on the road with him. Kessler is at times spectacularly irritating, wondering why he and Williams aren’t hitting it off, grousing about the performer’s wife ruining their time together, interrupting Williams mid-story to focus on the narrative he wants to tell. What stymies him is Williams’ genial refusal to play along. Like Kessler, I remember Williams as a pop culture staple. A talk show fixture who’d guest on any crime drama, Williams would win an Academy Award one night then parachute out of a plane on Circus of the Stars the next. He’s also genuinely talented, writing terrific songs (“The Rainbow Connection”!) and some brilliant, deliberately bad ones for Ishtar. He’s got a hard-won understanding of what fame has cost him and given him, and he won’t allow Kessler to put him in a convenient box. When the director asks if all those game show appearances harmed his career, Williams essentially says sure, but: “Some part of Paul Simon wishes he’d done more Hollywood Squares, and I wish I’d written ‘Bridge Over Troubled Water.’” Williams’ only regrets stem from his behavior when he was an addict. His dogged refusal to view himself as a has-been or a failure means that Kessler can’t see him that way, either. Williams pointedly tells Kessler that the fact that his life in the last few years has been interesting “fucks up your movie – and I love that.” By the time it’s over, Kessler has grown to love it, too, and the curious bond that develops between putative chronicler and alleged subject makes the film a compelling investigation of celebrity. Here’s Williams appearing, shall we say, in character with Johnny Carson on The Tonight Show. I followed up the documentary with a project from the height of Williams’ fame. Phantom of the Paradise is Brian DePalma’s rock opera take on The Phantom of the Opera. You’d think that Williams, with his diminutive size and his songs’ facility for tapping into isolation, would make a haunting phantom. Instead he’s cast as the villain, and he offers a game performance. An antic William Finley plays the title role without a hint of tragedy – and, bizarrely, with Williams’ singing voice. Childhood crush Jessica Harper is a rock goddess equal parts Stevie Nicks and Debbie Harry. Only Brian DePalma would end a musical with a split-screen assassination attempt. It’s like the man can’t help himself. Enjoy the trailer.